We stayed off I-95 and took the old roads to get to our campsite at Jonathon Dickinson State Park. It is an 11,500 acre park. The brochure says we are camped in a "coastal sand pine scrub, a biological community so rare it has been designated globally imperiled." I'll get some scrub photos tomorrow as we will be here for two more days. The Florida Coast is built up solidly all the way from Miami to here. I never knew there were so many towns; well known places like West Palm Beach to not so well known like Tequesta and Hobe Sound. Lots of places are for sale. 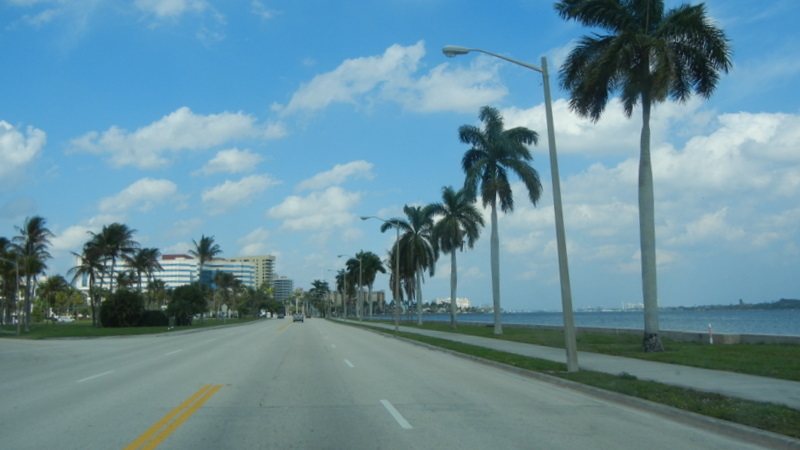 In West Palm Beach the road took us along the waterfront. 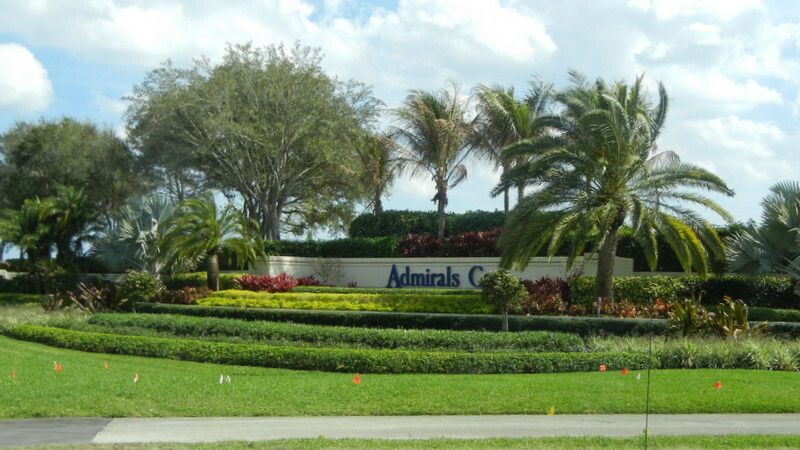 One impressive entrance along the road was to Admirals Cove in Jupiter. Their gardens along the A1A road were beautiful.